How does Google Street View Help Business Owners? Potential customers can search for a business via its name on Google. They can then see images displayed directly on the page that results from their search. Individuals who use Google+ Local, Google Maps or other Good properties will also find that these images are displayed right along with other information provided to the client. Photographs can help to give potential clients a better sense of what the interior of the business looks and feels like. By using easy snippets of HTML or other scripting code, these images can be linked straight off of a business’ Website. The Google Business Photos site provides a plethora of information about how this can be done. Why are business being photographed in the first place? 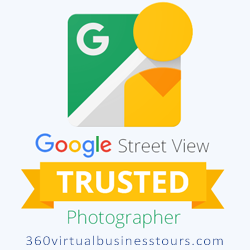 Some people want to know why Google’s team of trusted photographers is photographing businesses. These staffers are taking high definition stills that can be stitched together into making panoramic views. The photographers are independent contractors, but they’ve been independently trained and certified by the search giant to make sure that they take the best photographs possible. Nevertheless, business owners can still upload their own photos by signing into Local. They can also see what sorts of photos have already been taken of their place of business. 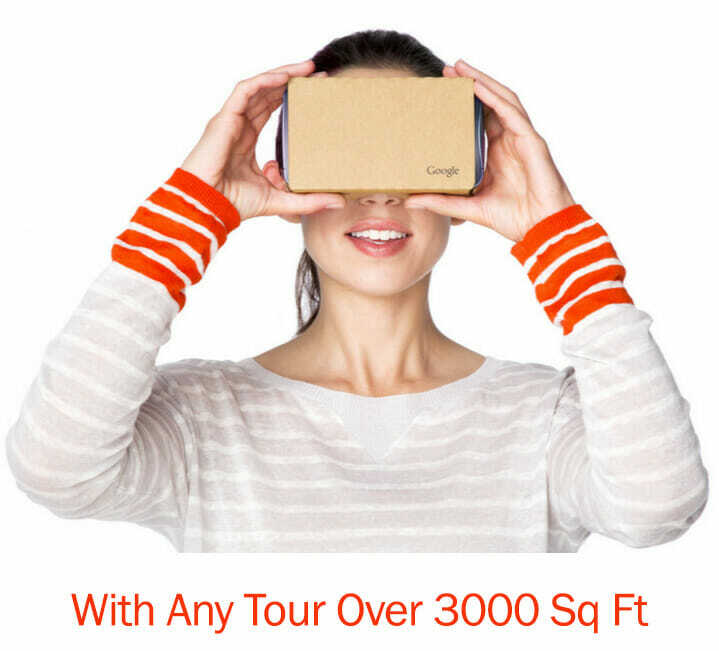 Can’t I just perform the virtual tour shoot myself? Trusted photographers can do a few things that business owners usually can’t do themselves. They’re specifically trained to take high quality interior shots, and they know how to compensate for low lighting conditions. They use rotating turrets mounted on tripods as well as fisheye lenses. There are people who know how to stitch them together into large single still frames once the photographs are uploaded to the search engine giant’s servers. Software processing consists of sophisticated subroutines that stitch images together as well as HDR filters and various other technologies that can produce entire walkthroughs that business owners generally couldn’t afford to make on their own. How are you Affiliated with Google? Do You work for them? Google’s trusted photographer crews actually aren’t employed by Google, nor are they agents of the company. They’re not affiliated with the search engine giant in any way. They’re instead independent contractors who receive a certification because they can meet the company’s exacting standards of excellence for taking these types of photographs and then uploading them. Business owners should only work with those who have been certified by the Internet firm. Those who work with our particular photographers are only ever charged a one-time fee that includes the photo shoot as well as the posting of the photos to Google’s servers. The tour will be added to Google Maps, and then there won’t ever be any other costs involved. Please click here to view more on how pricing works. How do I go about coordinating a photo shoot? You can either give us a call at 1-(678)-542-4394, or you can fill out the request form on our website and we’ll get back to you and schedule the shoot for you. Most photo shoots take about an hour, but it really depends on how large the interior of your business is. What sorts of things do I need to do in order to prepare my business ahead of time? The photo shoots are supposed to give the feel of taking a tour of a business on any regular day, but clients are welcome to tidy up before hand. Please refer to our handy checklist here. You can always work with the assigned photographer to determine which parts of the business to showcase and which to avoid. Most photo shoots will focus heavily on the main areas involved in customer interaction. These photo shoots are supposed to illustrate what it might be like to take a stroll through your business on a regular day, so any areas customers are likely to see are fair game. Our photo shoots are always designed to be as non-disruptive as they could be, since we know that you’re running a business. Our photographers always work around your schedule, and they’ll help to select a convenient time. None of our photo shoots ever require any type of lightning or special setup, so you’re welcome to stay open. It’s generally a good idea to let customers and employees know what’s going on, and it’s best to have them avoid being in the view of the camera if at all possible. What sorts of people will be included in the photo shoot? We generally aim to have as few people in each of the shots as we possibly can. Photographers often put up signs and alert the customers and staff to ensure that there are as few people as possible in the shots. What sorts of measures have been taken to ensure legal compliance? Photo shoots always work around what clients ask for, and any area of a business that shouldn’t be photographed won’t. Our photographers always alert everyone before taking photos in order to ensure privacy. Any people who appear in the images will have their faces blurred out. Clients can always use the Report a Problem link on the bottom of the image or on the Google+ Local page to request additional blurring features or have entire images completely taken down. Who can give the legal permission to conduct a photo shoot in the first place? You have to have the proper authority to allow Trusted Photographers access to the premises and then to subsequently allow Google to use the photographs. This means that owners, directors and managers are generally the only individuals who can grant the legal permission to conduct the photo session. Will Google use the imagery for anything other than Google+ Local illustrations? Google can use the images in a variety of products and services, but only those that have something to do with providing potential clients information about businesses. For instance, the images might ultimately appear on Google Maps. Do I own the photographs that the photographer takes? Yes, you will own the photos once the photo shoot is over. Keep in mind that you’re going to license them out to Google once you sign the ultimate agreement. Unfortunately technology limitations prevent business owners from taking a look at the images before they are uploaded to Google. Can I eventually take down the panoramas or blur out images? If you see a major issue, then you can ask us to blur out some areas in each of the individual panoramic images. You can also ask us to remove all of the images together. We’re not currently able to take down individual shots. Just click on the “Report a Problem” link if anything was wrong with the images and they need to be removed. Please keep in mind that the removal process could take a few days. Could my images be removed for other reasons? Images undergo quality control checks before they’re uploaded, but they could theoretically be removed if they somehow violate Google’s terms of service. Google has a complete image policy for users to go over if they have any concerns.